When a baby elephant dies, it’s mother has been known to lift it with her trunk. She then places it in an area where the calf is covered with ground debris like twigs, sticks, and dirt. The other female members of the herd assist in this ritual. Upon completion, rest of the herd will join the mother paying homage. This is one of many beautiful rituals of the death in the animal kingdom. Research has documented that mother elephants both in the wild and in sanctuaries, have been known to stand watch and grieve for days. 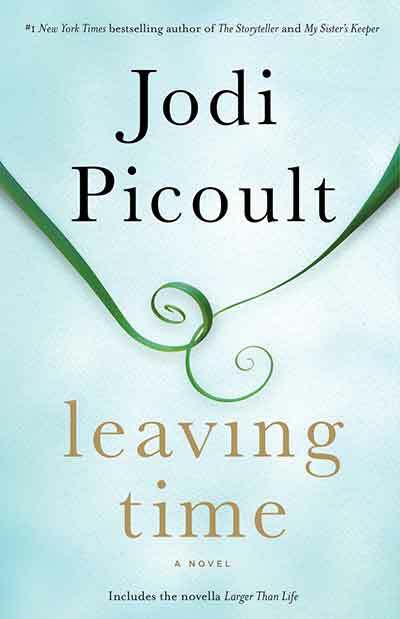 In Jodi Piccult’s book “Leaving Time”, the story line incorporates death and dying on both the human side, as well as in the animal kingdom – specifically elephants. Piccult is one of my favorite author’s because her books revolve around controversial topics. More times than not, topics revolve around current relevant events in our society such as teenage suicide pacts, school shootings and organ harvesting. “Leaving Time” particularly resonated with me as it parallels my expertise – end of life issues that revolve around people and pets. While the story line is fictitious, it’s also incredibly educational about how an elephant’s brain and memory work. The largest living land animal. Trainable as they were in the circus. Being poached just for their ivory tusks. Their lifespan is between 50-70 years in the wild. The oldest living female is the matriarch of the pack/herd. All calves or baby elephants are mothered by all females in the herd. What makes an elephant unique compared to other wild animals, is that their brains are very complex. In fact, their brains are so multifaceted that they are capable of remembering, learning, experiencing and most importantly communicating! Sight and smell are also a key component for elephants. Researchers who study at The Elephant Sanctuary in Hohenwald, Tenn., have countless documented stories about an elephant’s ability to recall and react. Turns out the two elephants had briefly crossed paths years earlier. 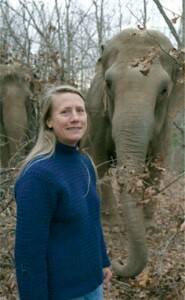 Buckley knew that Jenny had performed with the traveling Carson & Barnes Circus, before coming to the sanctuary in 1999, but she knew little about Shirley’s background. She did a little digging, only to discover that Shirley had been in the circus with Jenny for a few months—23 years earlier. 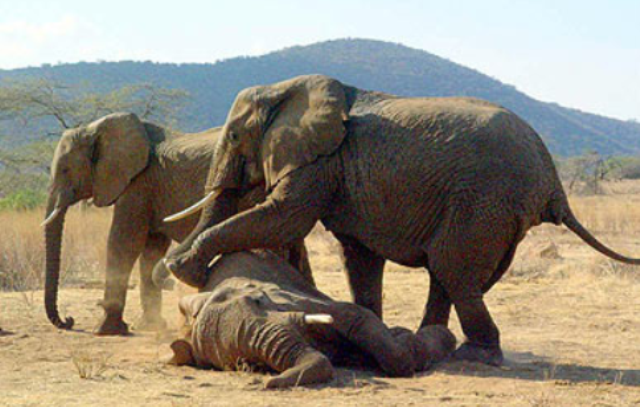 In Piccult’s book she shares two discoveries from researchers about the behaviors of elephants in a herd when they encounter remains of a deceased elephant. Excerpt from “Leaving Time” by Jodi Piccult, released October 14, 2014. 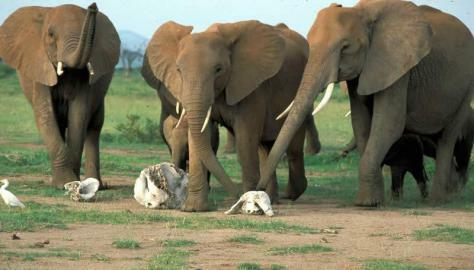 Elephants have elaborate rituals of grief, much like humans. If an elephant comes across the bones of another elephant, it will be quiet and reverential. The tail and ears will droop. They will pick up the bones and roll them beneath their hind feet. They only do this with elephant bones, not the bones of other animals. They will return to the spot of a herd member’s passing and pay respects for years to come. They will often cover an elephant who dies with branches and dirt. They’ve been known to break into research camps to steal a bone a scientist is working with, and to return it to the spot of that elephant’s demise. But the loveliest story of grief I learned came from the Elephant Sanctuary. An elephant named Sissy survived the 1981 Gainesville flood and was brought, traumatized, to the Sanctuary. She took to carrying a tire around, like a pacifier. After a while, she befriended another elephant there named Tina. When Tina died, Sissy stayed at her grave for a day. Then, she lay her tire down on her best friend’s grave, like a wreath, and left – almost as if she knew that Tina was the one who needed comfort, now. If the above doesn’t drive the fact home that animals have the capability to feel, think and remember I don’t know what will. If you are looking for a good read, you need not look any further. The storyline is wonderful and it’s easy to read. Help make a difference by donating to a charitable contribution to Elephant Aid International.